I have one of the R-6 sights too. If I remember correctly ( getting to be somewhat iffy these days) the bottom ring moves down to unlock the upper barrel shaped ring so it can be rotated to rise and lower the staff/eye piece. Once the staff is set then the lower ring moves up to lock it in place. I do remember having one heck of a time getting them apart as well. 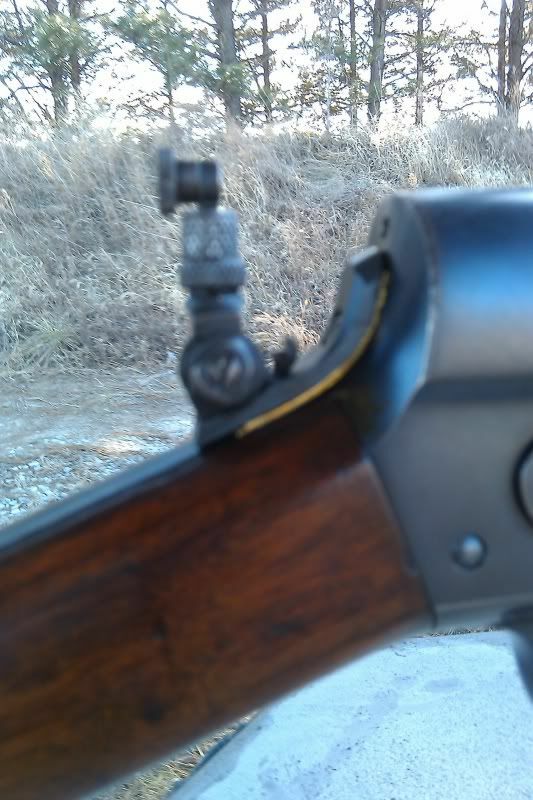 The sight was purchased on line and when installed on my M8 needed to be adjusted for sighting in. I also remember being concerned with not damaging the knurling on the rings trying to get them unlocked.